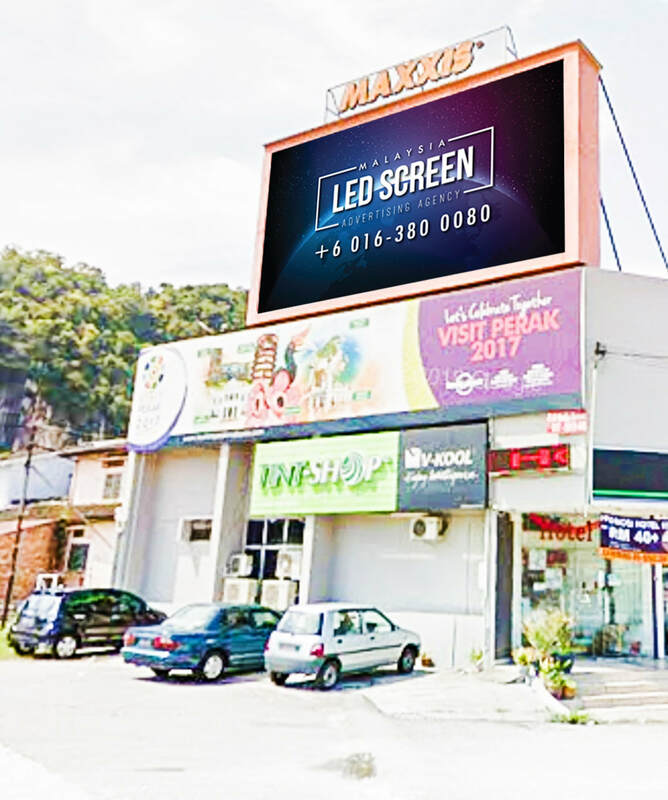 The LED screen is located at the busy traffic junction with Jalan Kuala Kangsar. 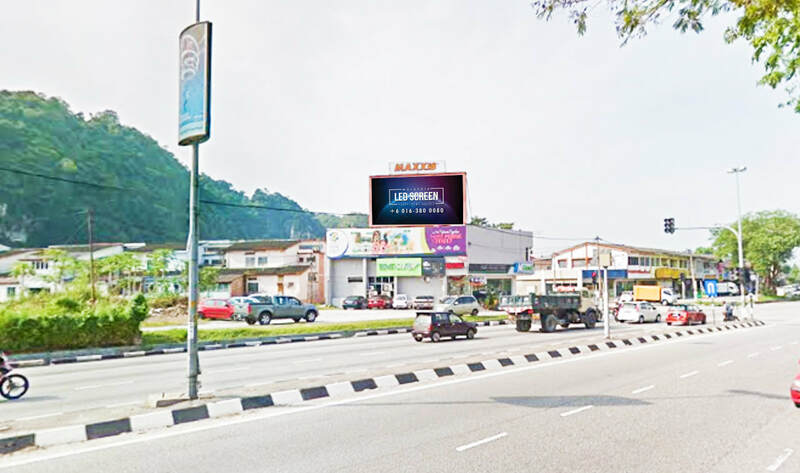 The screen is strategically to capture motorcyclist and drivers who pass by Jalan Kuala Kangsar. Thus, it can grab the attention from the motorcyclist and drivers. 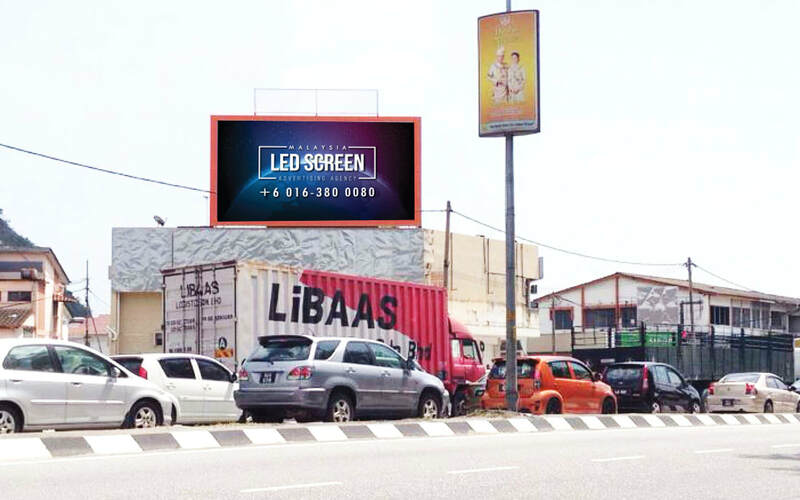 LED advertising screen helps businesses to deliver their brand messages to the passerby. This will attract attention of passerby when they are waiting at the traffic lights. LED screen advertising is one of the impactful and highly effective method to introduce or promote your product. This will also increase a business's customer base. 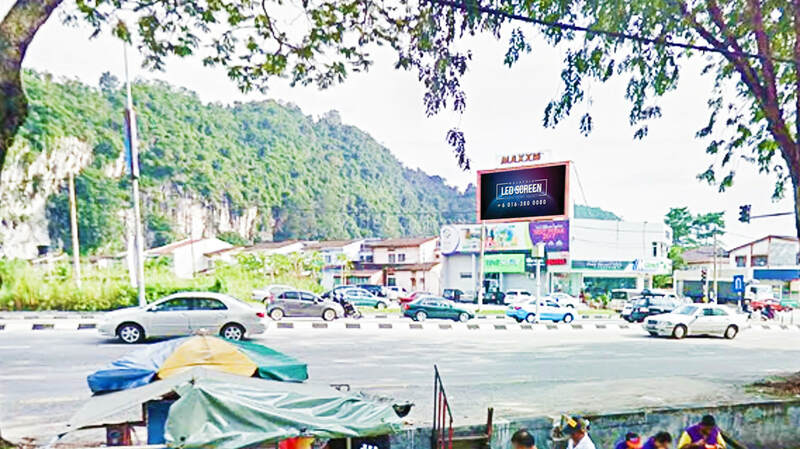 ​Ipoh is the capital city of Perak, a state in Malaysia. 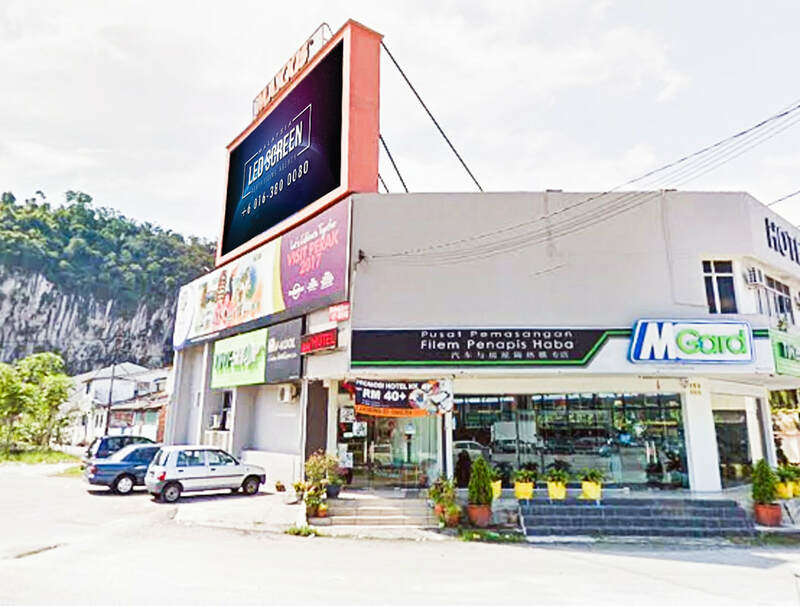 Ipoh is situated by the Kinta River with approximately 180 kilometres north of Kuala Lumpur and 123 kilometres southeast of George Town in neighbouring Penang. Ipoh consist a population of 657, 892 as at 2010, making it the third largest city in Malaysia based on population. 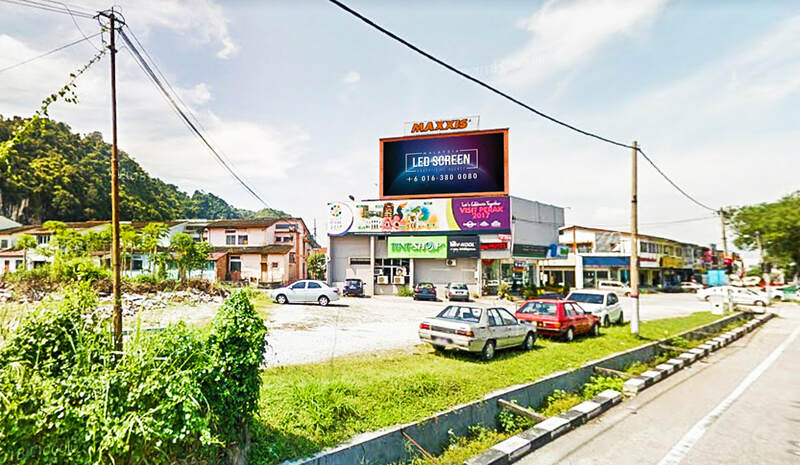 Ipoh began to grow rapidly and in recent years, Ipoh has become a place for tourist destination. 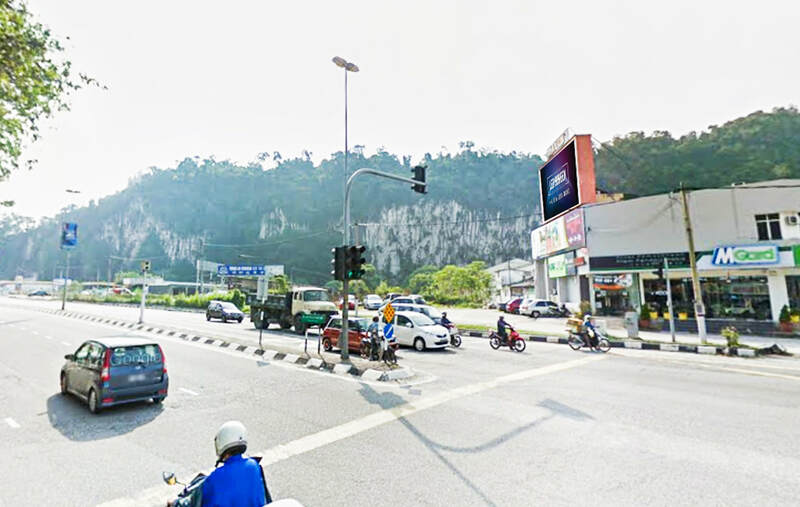 Ipoh is also famous for its cuisine and natural attractions like its caves and limestone hills. There are other attraction like street art and historical buildings.